Questions of police accountability and efficacy have been prominent topics in the news of late. On a disturbingly regular basis, we hear and read stories of heavy-handed responses by officers, who, instead of de-escalating confrontations as a domestic police force ought, seem to prefer committing violence on the citizenry they’re ostensibly charged to protect. What’s more, pursuant to supreme and federal court cases such as Castle Rock v. Gonzales and Warren v. District of Columbia, it is established precedent that police have no legal obligation to “protect and serve” the population. Law enforcement officers can and have, quite literally, stood by and watched while victims were brutally assaulted, done nothing, and because of their special legal status, could not be held liable afterwards. So where does that leave the citizenry who pays both the fiscal and physical price for maintaining a police force of increasingly questionable legitimacy? In short, we have an overly aggressive, militarized law enforcement community that embraces an “us vs. them” mentality, who has no real obligation to protect or serve, and because of legal precedent cannot be held accountable when they overstep their authority. Maybe it’s time to reexamine the entire paradigm of modern, government sanctioned policing. In 2012, Sharpstown, a community just southwest of Houston, Texas, declined to renew its contract with the constable’s office, and hired S.E.A.L. 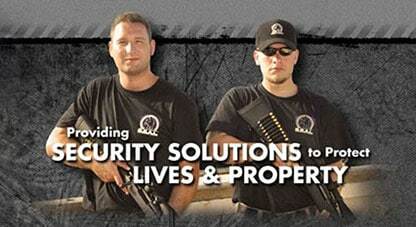 Security Solutions, a private firm, to patrol their streets. Although calls to the Sharpstown Civic Association were not returned, it’s easy to deduce why they embraced the idea of a privatized security solution. “Since we’ve been in there, an independent crime study that they’ve had done [indicates] we’ve reduced the crime by 61%” in just 20 months, says James Alexander, Director of Operations for SEAL. You read that right: Crime dropped 61% in Sharpstown in just over a year and a half. Civil libertarians will appreciate the accountability of SEAL’s officers; they cannot hide behind qualified immunity and police unions. “We do not receive the same protection, as we are in the private sector,” Alexander states, “However we are not bound by the same restraints either, like violating civil rights.” While his second statement may be a little troubling, it should be noted that because of their private sector status, any SEAL officer who crosses the line can be held personally liable, both criminally and financially, unlike government agents. The idea of privatizing policing is catching on. As of this writing, over 70 communities in Harris County and most of the major management districts have contracted with SEAL. They’re less expensive, better at crime prevention, they do not target citizens for revenue, and, best of all, each officer is personally accountable for his or her actions. The rest of the country would do well to closely examine the success of Sharpstown’s implementation of private security. The views and opinions expressed in this post are those of the authors and do not necessarily reflect the position of Guns.com.